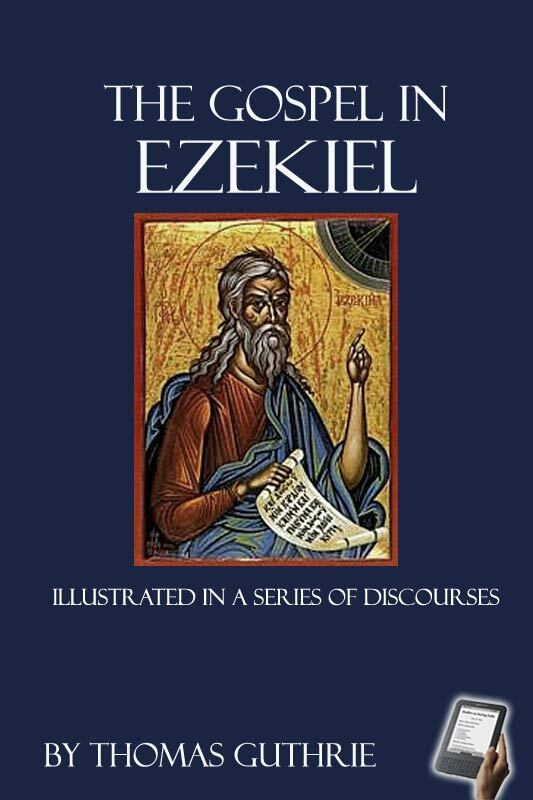 “The Gospel in Ezekiel” is a wonderful work. Guthrie does not lead his readers chapter by chapter through the book, but takes us verse by verse in one chapter–chapter 36. His contention is that this chapter–Ezekiel chapter 36–is the very outline of the message of the gospel. Spiritual death and judgment is herein typified in Ezekiel through exile from the land. Restoration from exile to the land–along with all the abundant blessings therein–is a grande fore-picturing of the blessings of salvation. Thomas Guthrie D.D. (12 July 1803 – 24 February 1873) was a Scottish divine and philanthropist, born at Brechin in Angus (at that time also called Forfarshire). He was one of the most popular preachers of his day in Scotland, and was associated with many forms of philanthropy.Guthrie was an eloquent preacher of the gospel. Founder of the Edinburgh Original Ragged Industrial Schools, and by tongue and pen, the apostle of the movement elsewhere. One of the earliest temperance reformers. A friend of the poor and of the oppressed.